When kids walk through the doors of their school for the first time this year, there may be some radical differences. 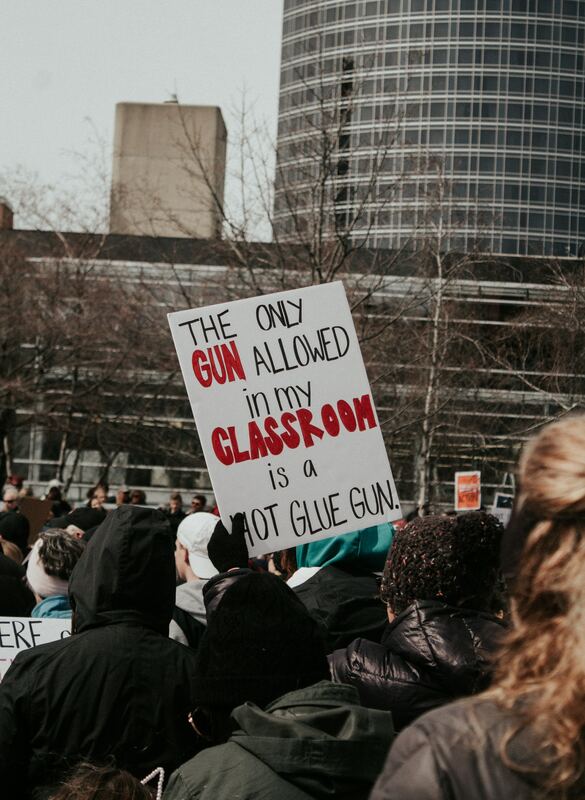 For countless classrooms across the U.S. metal detectors, and armed security guards will welcome us. Other schools will have beefed up versions of those same security features from past years. Some of us will be lugging bulletproof backpacks which our parents bought online for $99 more to calm their own fears than any real practical reason. Every day Generation Z is facing new realities but this one will mark our youth as surely as 9/11 marked Millennials who came before us. We’re facing an inescapable new reality that definitely isn’t lost on us. When someone attends a march for a social cause, whether March for Our Lives, a Women’s March, or another one of the many thousands of politically motivated marches that happen yearly, adults may be surprised to see that young people are taking the lead in political participation at such events on a global scale. The Atlantic finds that Gen Z (anyone born after 1995) is just as engaged with the issues of the day as generations before us- perhaps even more. Recent events show that young people are changing the world by starting conversations and movements about issues that other generations have let go unnoticed. In fact, according to WeRGenZ surveys, 76% of teens are concerned about humanity’s impact on society and 60% want to make an impact. More than a third (36%) say they intentionally educate family and friends about a cause. CNBC writes that because Generation Z -the largest generation in the United States-grew up in the aftermath of 9/11, lived through the 2008 Recession, and has never known a world without Internet, we are able to leverage the power of our voices to effectuate sweeping changes across society at an accelerated pace. An example is attendance at “March for Our Lives” across the nation. 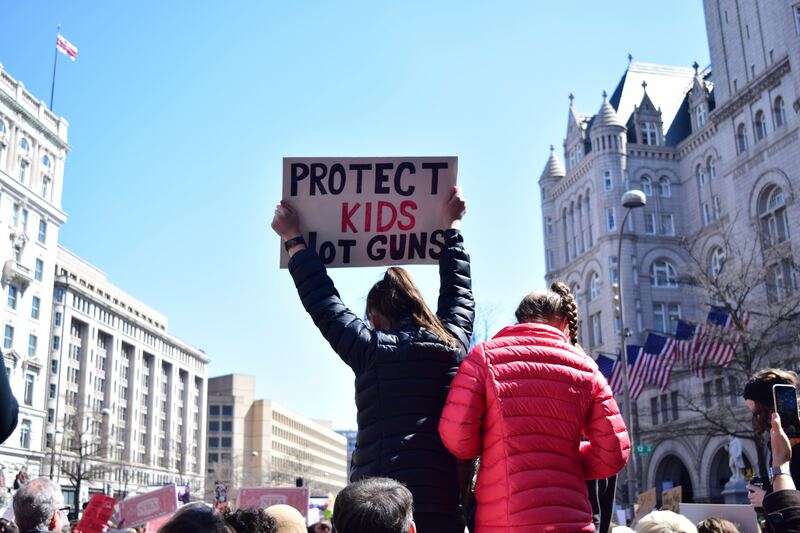 Not only did over one million students take seventeen minutes out of their day to participate in national walkouts, but the March For Our Lives rally in Washington, DC attracted over 500,000 people. At the helm of this was a group of teenagers from Marjory Stoneman Douglas High School, who, in true Gen Z style, took to Twitter and other social media to spread the word about their cause. The reason this cause is getting so much attention from Generation Z is because guns and shootings have only recently become prevalent in schools. Just as the generation before us watched the events of 9/11 impact airport security as they grew up, our generation is watching school security. This has impacted our generation in many ways. People our age are the ones most directly affected by guns and school shootings, so we feel a stronger urge to advocate for safer schools. But this doesn’t come without risk and consequence: detentions and suspensions were handed out to many students who participated in school walkouts across the nation. However, the consequences are only proof that the adults and authority figures around us are paying attention. Generation Z is perfectly positioned to make change happen on the political, economic, and social scenes. As our generation comes of age, politicians should pay serious attention to Gen Z’s low tolerance for political gridlock, and strong desire for tangible change. My generation’s intolerance for political gridlock will only multiply and over the next several election cycles, that intolerance will play out at the polls. Gen Z will supply millions of new voters to the electorate between now and 2020. Don’t be surprised if Gen Z becomes the generation that redefined political and social activism.